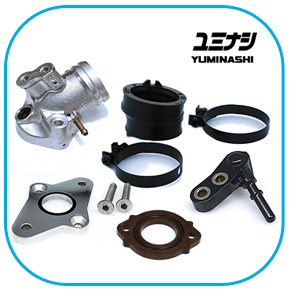 ● 2016 generation Yuminashi 35mm throttle body to be installed on +164cc kits. 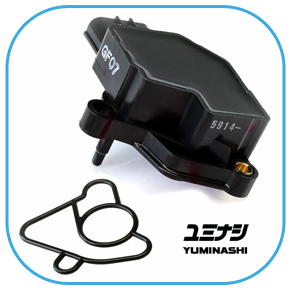 The main reason for the Yuminashi R&D to start with an improvement on the 35mm, and actually also on the Yuminashi 31mm throttle body back in 2016 was to solve the issue of tending to run very rich while running lower RPM's on a stock ECU, where it was very hard then to pick up the RPM's if you suddenly open full throttle. This is a phenomenon we actually also see with the stock throttle body sensor installed. The difference between the Pre-2016 generation and the 2016 generation is amazing! If you take a look to the pictures, then you will see that the 5-pin connector on the large sensor block isn't located anymore on top of the throttle body as you can see on the FORZA300 / KITACO 34mm throttle body, but below on the side from the throttle body. For racing applications best performance will be achieved without air filter. For road use we are recommending the genuine K&N R-1100 air filter which can be installed on an MSX125/SF, GROM125/SF and MONKEY 125. The best injector to be used in combination with the 35mm throttle body is the B-type 6 holes NLJ high flow injector, and if your exhaust system is rather restrictive then we would like to recommend to use the B-type 8 holes low flow injector. 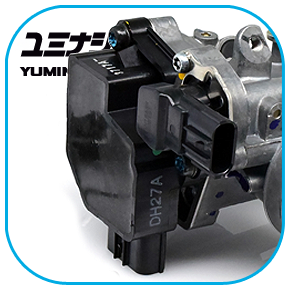 The best possible result will be achieved with our high performance ignition coil installed. If you want to the AFR settings based on your own needs, then this can be done with our IAT enabled standalone ECU in combination with a wideband O2 gauge, we are recommending the Innovate MTX-L PLUS gauge. ■ For MSX125/SF, GROM125/SF and MONKEY 125 the plug and play 35mm throttle body manifold set 17111-K26-034B is available with CNC machined spacer. ■ This 35mm throttle body set comes complete with all sensors installed, and a special wire loom comes in the box. ■ The Pre-2016 generation 35mm throttle bodies are replaced by the 2016 generation 35mm throttle body on all orders shipped out after 24 September 2016. BUYING MORE THEN 1 PIECE WILL CUT THE TRANSPORT PRICE, AND YOU RECEIVE A 10% DISCOUNT ON TOP OF IT! Click the button below to add the 35MM THROTTLE BODY & WIRE LOOM SET (MSX/GROM ● AIR BLADE ● MONKEY 125) to your wish list.